See you at 3PM PST! Check us out on Twitch or right here for the embed! 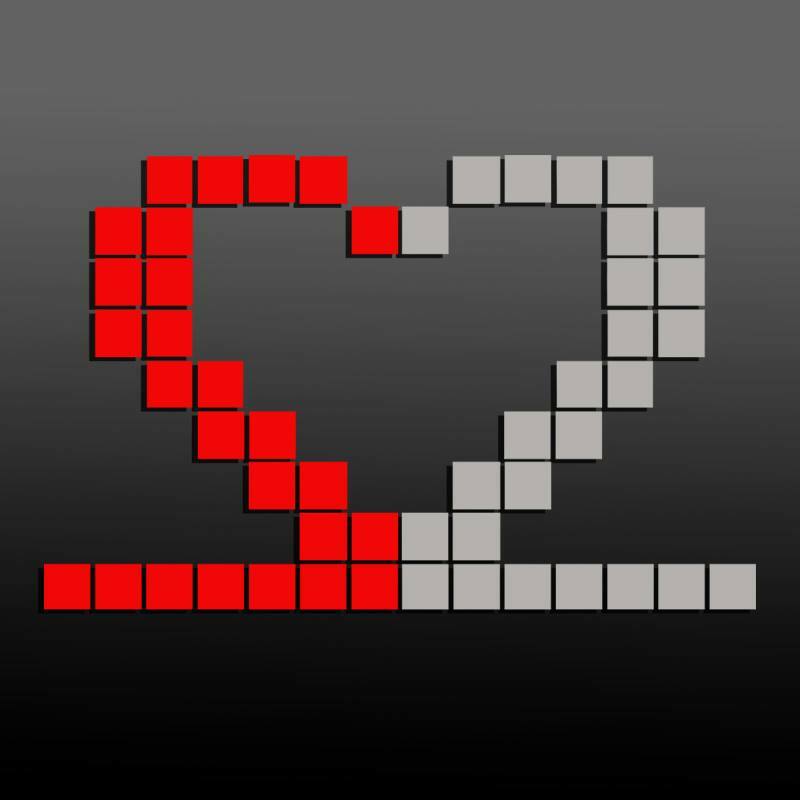 6PM: Sohinki and Jovenshire from Smosh Games and Davis from Warpzone. 9AM: Amy Dallen, Dave Klein, Warframe Giveaway! 1PM: Left 4 Dead – Ending Stream Party! We are happy to announce Scare to Care is coming back for 2015! This year of fear is dedicated to Camp Kesem once again! If you’re unfamiliar with their organization they support children through and beyond their parent’s cancer. 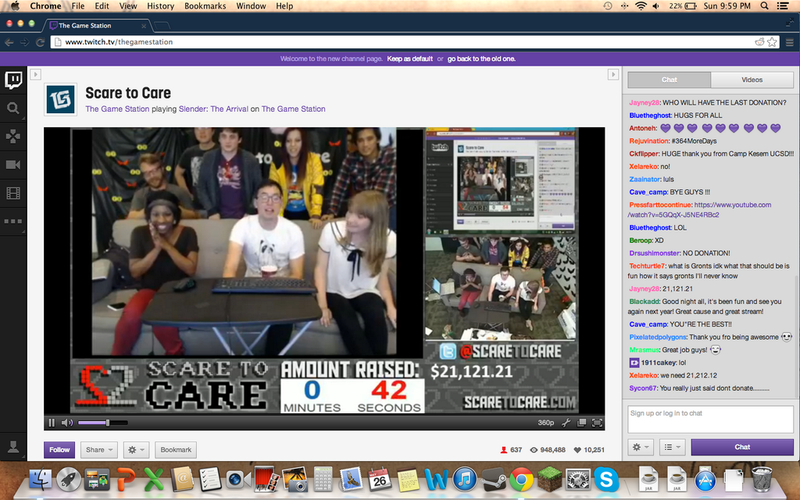 Scare to Care 2015 will take place through all 48 hours of May 22nd-24th on our Twitch channel. As for our schedule? The response from the community has been completely overwhelming – and we are still finalizing it. Until then, please join us on our Facebook Page and Twitter to make sure you’re the first to know! Hope to see you all there to help us strike a blow against cancer. See you at 7PM PST! Check us out on Twitch or right here for the embed! 4PM: Left 4 Dead 2 Party! Scare to Care 2014 Details! It’s here! We’re running Scare to Care 2014 from 7PM PST May 23rd to 7PM PST May 25th! That’s 48 hours worth of horror game live streaming! We’re producing this year’s event with the good folks over at Polaris, so you can expect some awesome guest stars and amazing prizes. Here. Literally right here at this webpage. Expect to hear more from us soon. Stay tuned! Hey everyone, Vernon here. Just wanted to pass along an email I got from Camp Kesem detailing where this year’s donations are going. S2C is super stoked to have been able to help out this many camps in 2013, and hopes to help even more in years to come! UCSD will get $5,000, and then each of our new 2013 schools will get $2,000 each (totaling $8k): University of Oklahoma, University of Nebraska, Syracuse University, and USC. They’ve all done a great job this year but it’s always tough to get up and running the first year, so this will give each of them a much needed boost (especially Oklahoma, with all those tornadoes just weeks before camp!). The remaining $8k or so will go to CK National to support each of these schools through our national leadership development program, and also to help our organizational growth in starting 13 new chapters in 2014! More updates coming soon! You’re awesome! While we’re working on editing some recapped footage, feel free to take another look at all 48 hours of the livestream! After 48 hours of streaming, Scare to Care raised $21,121.21 for Camp Kesem in support of the children of cancer patients. This year eclipsed the previous years by a huge margin. We’re astonished to see our charity grow this much in just three short years and hope to see it become even bigger and even better in the future. Thank you to the Game Station, Maker Studios, and everyone who participated, donated, volunteered, and hung out for making it such a success. Here’s to Scare to Care 2014. Watch Scare to Care 3 Live! Scare to Care 3 Promo! Scare to Care is still alive. It’s happening this month starting May 24th. We’re working on something big. I can’t say much more.